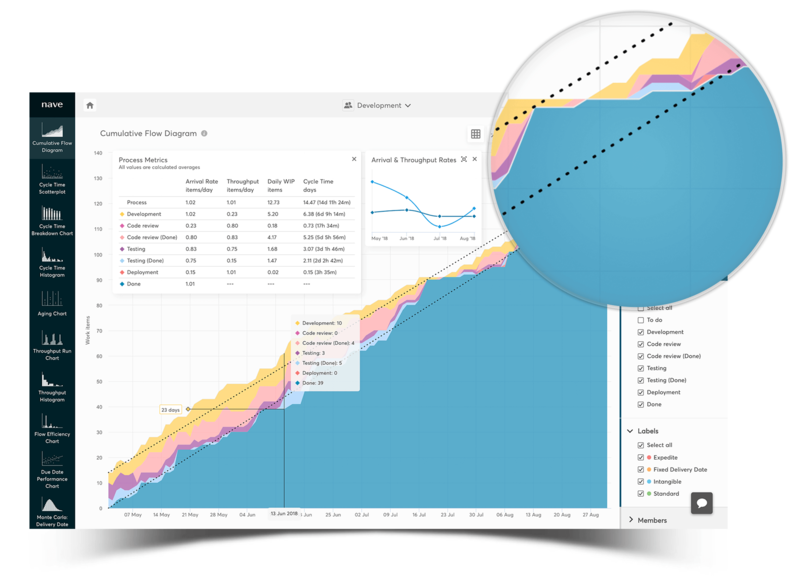 In the Cumulative Flow Diagram, each coloured area represents a workflow state from the lists in your Kanban board. The horizontal axis shows the time and the vertical axis shows the number of tasks. The size of the areas indicates how many work items are currently in each state for the selected time period. 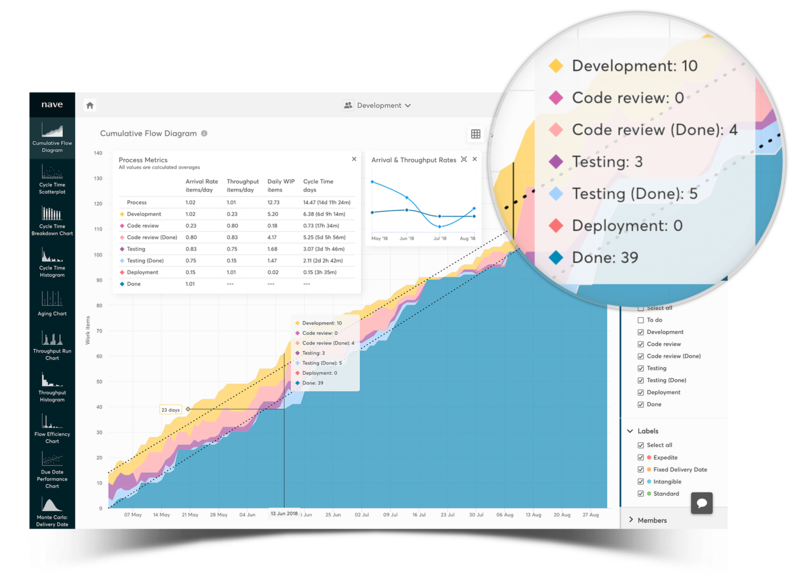 CFD by Nave has advanced chart overlay that shows the number of tasks in progress for each day in the selected time frame. Ideally the line should stay even or go down. Pro tip: If the line goes up, this means WIP goes up and your team is working on more tasks than they are able to handle at a time. Increased WIP usually results in increased cycle times, reduced team efficiency and potential project delays. 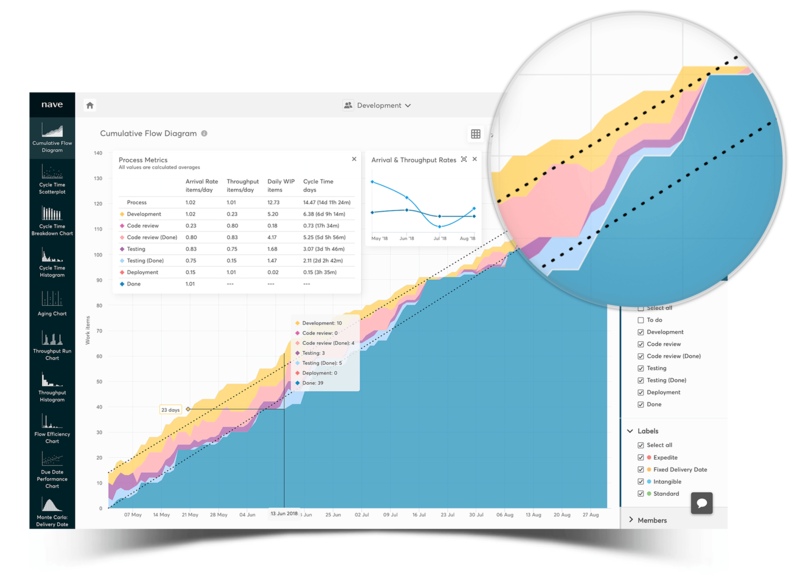 By using the CFD, you can measure the amount of work your team has delivered. 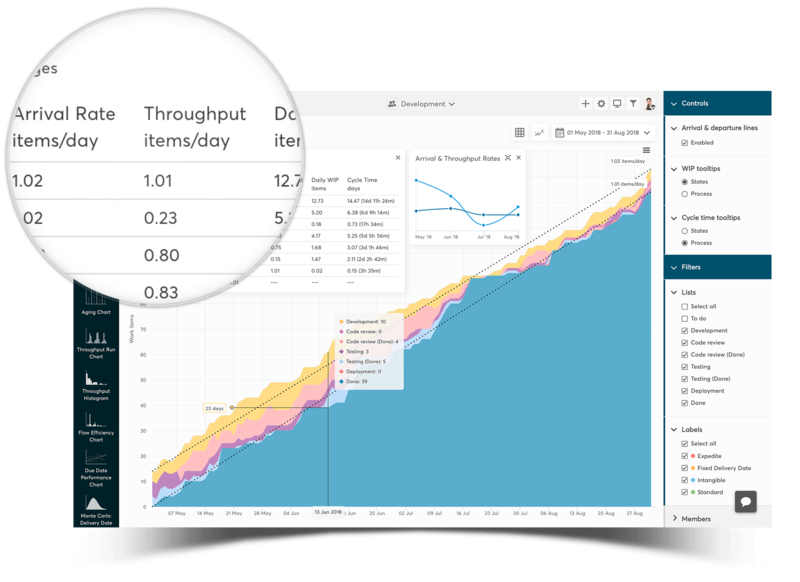 If the bottom line of your CFD represents the Done state from your process, then the slope of that line between any two points is your average throughput between those two points. A productive and self-organised team will be able to complete tasks quickly and see the Done area grow rapidly. Pro tip: Watch out for a flatter gradient in your Done area! The slower it grows, the longer your delivery times.